GOOD weather and good music combined to create a memorable afternoon in Felpham. The constant sunshine and supply of top quality musicians saw some 500 people go along to the latest Picnic in the Park. The occasion, on Sunday, backed by the Post, saw the well-established Jazz in the Village join with Felpham Village Conservation Society. 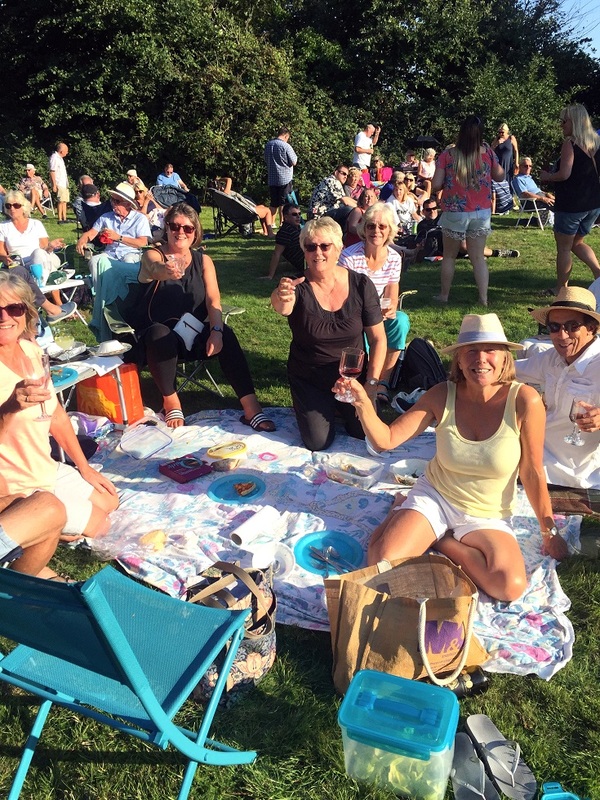 Picnic baskets, bottles of wine, rugs and chairs were in abundance around Old Rectory Gardens as the large audience got settled for some two hours of entertainment. Joyce Pritchard, the conservation society’s chairman, said: “The glorious summer weather continued again this year to make Picnic in the Park a wonderful success. She praised the compere, Bob May, for his superb repertoire to make sure the proceedings ran smoothly during the afternoon. Also in the band were some of the best full-time professional musicians in the country in a programme which featured Latin, Dixie and other popular rhythms.